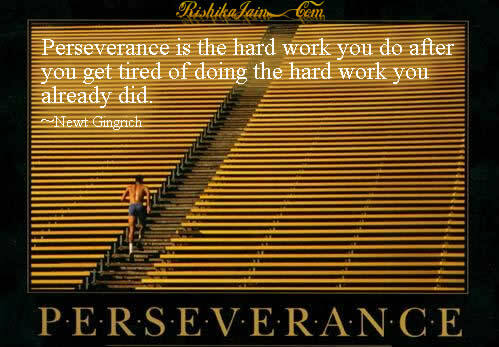 Home Abilities and Qualities Perseverance Perseverance is the hard work you do …. Next articleThe heaviest thing you can carry is a grudge. I would like to get the daily updates. Dear Venkatesh – You can register at the site to receive daily updates by email or join us on Facebook. Thanks for your support. I like the site. it is inspiring.